Snrky: Is that why you didn't come to work yesterday? Is that why you didn't come to work yesterday? 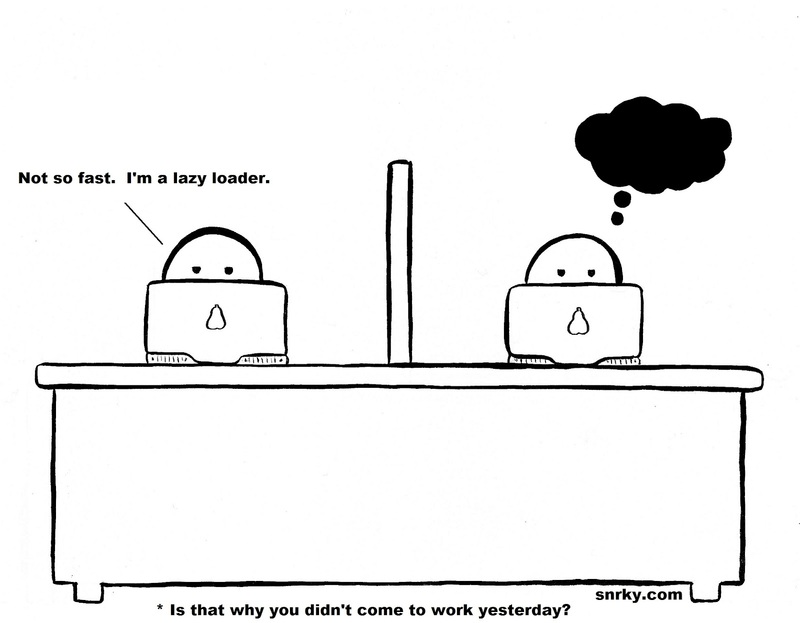 You can read about lazy loading at: http://en.wikipedia.org/wiki/Lazy_loading. I didn't know Martin Fowler had delineated four different styles of lazy loading: "There are four ways of implementing the lazy load design pattern: lazy initialization; a virtual proxy; a ghost, and a value holder." I've used three of four. Ghost is not the one I've missed. Title: Is that why you didn't come to work yesterday? Snarky: Not so fast. I'm a lazy loader.